It may be contrary to popular opinion, but it is a great time to start the buying or selling process now. This winter has several reasons for being the perfect time. We’ll cover six reasons in this two-part blog post. 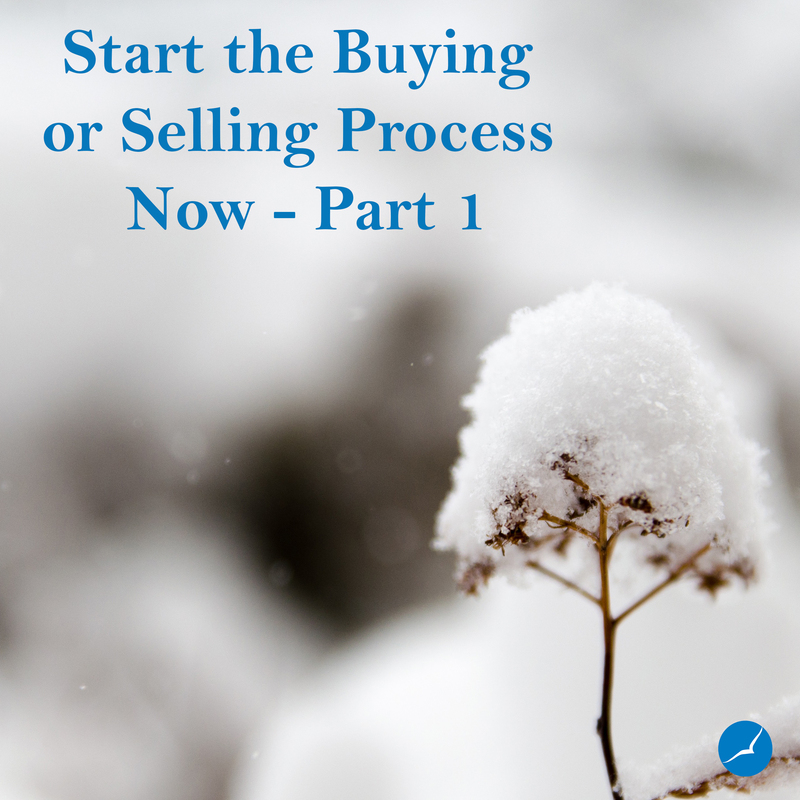 Why Start the Buying or Selling Process Now? Spring in the real estate market is known as the busy season. The process of buying or selling a home starts with several behind-the-scene steps that can take time. Getting these steps out of the way now means you’ll be ready for all the new listings come spring. For example, we recommend that a buyer get connected to a lender for prequalification or even preapproval before starting the search. We went into more detail as to why you need prequalification or preapproval in our first post. For sellers, there may be some projects to finish before putting your house on the market. Finishing these projects now means you can be one of the first on the spring scene. Around this time you’ll see a lot of price reductions in homes for sale. People are more eager to sell their homes before the end of the year. Usually, it’s because they’ve been on the market longer due to the slower season. This gives buyers and buyer’s agents more negotiating power. In addition, buying a home before the end of the year means you’ll get a homestead tax exemption on your next tax return. We’ll go into more detail on what this means in the future. It is true that there are not as many listings on the market this time of year, but it’s also common for agents to take this time off, or significantly slow down their production. This means less competition between REALTORS®. Stay tuned for the last three in the next post!